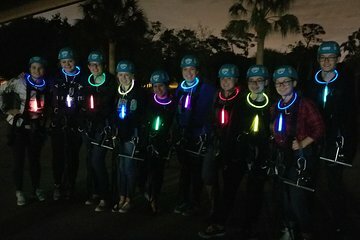 The full moon lights your way down a thrilling zipline course on this Tampa nighttime zipline tour. See the city sparkle as you fly down 3,000 feet (914 meters) of zipline cables that provide awesome views of the city and the bay. This tour is a fun pick for anyone looking to shake up their evenings, including families with kids ages 7 and up.